Fitness Instructor and Bokwa B.E.S.T. 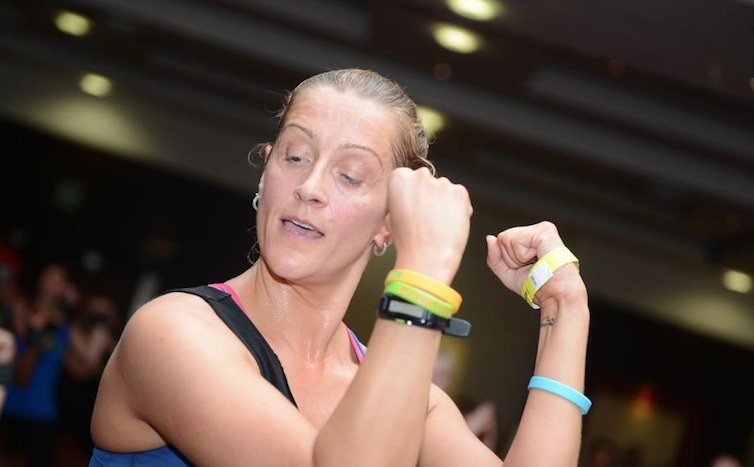 (Bokwa Educational Specialist Trainer) Sandi Murphy (39) will be teaching us the amazing Bowka style this Tuesday 30 September 17:00 on i-Marbella Dance Marathon in Puente Romano Tennis Club. 1. How did you start dancing? And teaching dance classes? I have always taken part in cardio-based fitness programs and initially started teaching with Zumba. I have travelled to Ireland, UK and taken Instructor trainings here in Spain. 3. Where have you taught/or where are teaching classes now and what style? I am currently teach in Spain in Calahonda and Fuengirola. 4. How did you find Bowka? Or did it find you? Why do you like it? I was looking for a new and exhilarating fitness program and searched on line and came across a video of Bokwa. I immediately knew it was for me!!! For me it ticks every box. I like a challenging workout that is fun. I don't like to feel like working out is a 'hard slog'. The more fun and enjoyable it is the more likely you are to maintain at it. I have been teaching it now for 2 years and I never get bored. As soon as the music starts that's it, I'm in my zone and having fun. 5. Why is Bowka different from Zumba and other styles? Bokwa is very different to Zumba (I know I also teach Zumba). Zumba is a dance fitness program. In Bokwa there is no choreography just simple steps that everyone can do to todays popular music that you hear on the radio. Whether you're 5 or 75 everyone can do Bokwa and be part of the same class. We don't separate kids from adults from older active adults. In bokwa you can make the steps smaller for a lower impact class while the participant next to you can go crazy and make the steps bigger giving a more challenging high impact workout. 6. What does dancing mean to you? What other sports do you do? Dancing and fitness classes for me blow the cobwebs away! It relieves stress and gives you the opportunity to just switch off from everyday life and be free for that class. 7. Why should people come to the dance marathon? Or if they're a bit intimidated what would you tell them? The dance marathon is a fantastic opportunity to experience different dance/cardio fitness programs and to have some fun and be part of the first event of it's kind here. 8. Does dancing also keep you fit? How do you keep fit? Dancing definitely keeps me fit!!! Especially with between 2-4 classes a day! 9. What are your plans for the fall and winter? As Bokwa is still such a new program here in Spain my plans are to spread the Bokwa Buzz!! I will be offering Fitness professionals the opportunity to certify in all of the Bokwa Fitness programs with me. I am currently the ONLY Instructor in all of Spain who is certified in ALL of the Bokwa Levels and Programs and the only Bokwa BEST who can certify in all of the programs. Book your spot now to avoid disappointment!